Nicholas C. Vella is Senior Lecturer in Department of Classics and Archaeology at the University of Malta. His current research interests focus on the study of connectivity in the central Mediterranean at the end of the 2nd millennium BC, and on the development of archaeological traditions in the Mediterranean in the inter-war period. He co-directs two excavation projects in Malta and is co-director of the Belgo-Maltese Malta Survey Project. He is the co-editor (with Josephine Crawley Quinn) of Identifying the Punic Mediterranean (British School at Rome, forthcoming). Initially coined by art historians in the second half of the nineteenth century to denote an ambivalent artistic style and period, ‘Orientalizing’ has been invariably used to describe a phenomenon, a revolution, or a movement. Regional developments and innovations in the ancient Mediterranean have been explained by reference to an Orient, the metaphorical bazaar containing the artistic opulence and social sophistication that spread to the West and changed it. Debating Orientalization brings together papers presented at a symposium held in Oxford in 2002 to debate the theme of ancient Orientalization. 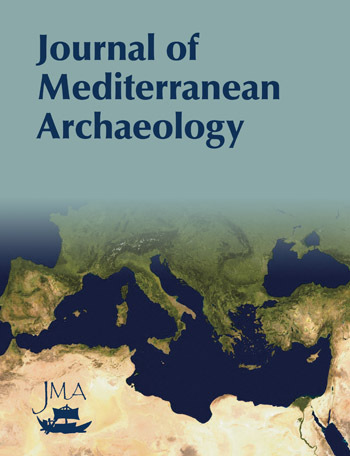 The volume reassesses the concept of Orientalizing, questioning whether it is valid to interpret Mediterranean-wide processes of change in the Late Bronze and Early Iron Ages by the term Orientalization. Like the ancient Mediterranean itself, the list of contributors is multicultural, and their contributions multidisciplinary, combining various strands of archaeological and textual evidence with different methodological and theoretical approaches. Corinna Riva is Lecturer in Mediterranean Archaeology at University College London. From 2000-2005 she was a Junior Research Fellow at St John’s College, Oxford, and served as temporary Lecturer in Mediterranean Archaeology at the Department of Archaeology, University of Glasgow in 2005-2006. Since 2002, she has been co-director of the Upper Esino Valley Survey (Marche, Italy). She is the author of The Urbanization of Etruria (Cambridge University Press, 2010). PAPERBACK EDITION PUBLISHED SEPTEMBER 2010 Initially coined by art historians in the second half of the nineteenth century to denote an ambivalent artistic style and period, 'Orientalizing' has been invariably used to describe a phenomenon, a revolution, or a movement. Regional developments and innovations in the ancient Mediterranean have been explained by reference to an Orient, the metaphorical bazaar containing the artistic opulence and social sophistication that spread to the West and changed it. Debating Orientalization brings together papers presented at a symposium held in Oxford in 2002 to debate the theme of ancient Orientalization. 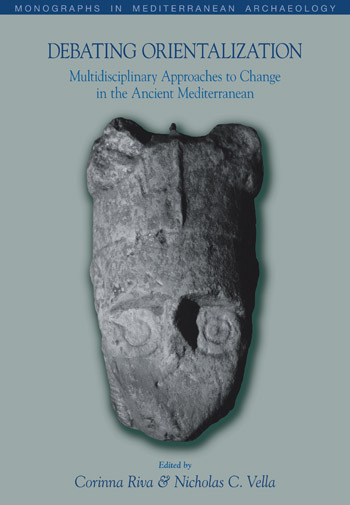 The volume reassesses the concept of Orientalizing, questioning whether it is valid to interpret Mediterranean-wide processes of change in the Late Bronze and Early Iron Ages by the term Orientalization. Like the ancient Mediterranean itself, the list of contributors is multicultural, and their contributions multidisciplinary, combining various strands of archaeological and textual evidence with different methodological and theoretical approaches. The introduction presents the different contributors’ approaches to the theme of Orientalization. It further traces the archaeological discoveries which led to the conception of the Orientalizing period in ancient (Greek) art history. 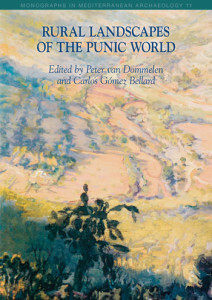 Nicholas Purcell is Camden Professor of Ancient History, Faculty of Classics, Oxford University. This chapter addresses the historical challenges and difficulties that arise when identifying 8th and 7th centuries BC as an “Orientalizing period”. Periodization is one of the central ways in which analytical order on the past can be imposed. Debating the term ‘Orientalization’ concerns the historical construction of the age in question. This chapter attempts to highlight the extent to which modern, western identity as a whole is anchored in the images and material remains of remote times and places. A central theme of this chapter is that as a requirement of modernity the institution of kingship had to be pushed to the margins of historical consciousness and rendered exotic, and anomalous. This resulted in the creation of a new European past rooted exclusively in an idealized image of classical antiquity and led to the construction of new and remote spaces of the imagination such as ‘the Orient’. A. Bernard Knapp is Emeritus Professor of Mediterranean Archaeology in the Archaeology division of the School of Humanities at the University of Glasgow, and Honorary Research Fellow at the Cyprus American Archaeological Research Institute. He co-edits the Journal of Mediterranean Archaeology with John F. Cherry and Peter van Dommelen and is the general editor of the series Monographs in Mediterranean Archaeology (Equinox). He is the author or editor of several books including, most recently The Cambridge Prehistory of the Bronze-Iron Age Mediterranean (Cambridge University Press, 2014), co-edited with Peter van Dommelen. The chapter considers the relationship between Orientalization and Orientalism, especially with respect to the relevance of modern historiographic constructs for interpreting the past. It further presents an overview of the relevant archeological evidence. The social lives and the role of Oriental luxury goods within Cypriot society is also considered. Moreover, the chapter discusses how the distance between Oriental states and Cyprus may have helped to establish and legitimize social power amongst Cypriot elites. Finally, the value of the Orientalization concept is assessed for a better understanding of the dynamics of eastern Mediterranean prehistory. This chapter focuses on whether ‘Orientalizing’ and ‘Orientalization’ are valid as heuristic terms for the relations between cultures in the ancient Mediterranean or whether they are simply a modern construct. The three cities analyzed for their dynamics, display the human and material grounds for interaction. Until the seventies, the importance of Greek mercantile activities in the Mediterranean has been overestimated at the expense of those of earlier Levantine entrepreneurs active in the same area. However, nowadays the contribution to Europe’s cultural heritage is no longer underestimated and the term ‘Phoenician expansion’ is widely acknowledged in history classes throughout Europe. This chapter focuses on th eidentity of which Phoenicians in particular participated in the process called ‘Phoenician expansion’. This chapter focuses on the organization of the Phoenician colonial system in Iberia, area of the western Mediterranean about which most is known during the earliest period of Phoenician colonization (8th–6th centuries BC). The archaeological indications suggest the existence of a hierarchy of colonies in the 8th–7th centuries, the organization of which is considered to be responding to a trading hierarchy. This chapter seeks to provide a critical look at current research on the Orientalizing period in Etruria and in particular to question the arguments around kingship that current scholarship supports. Moreover, it aims to analyze whether we can still speak of an Orientalizing phenomenon in Etruria and if so, in what ways. This chapter focuses on the way in which recent insights regarding situations of culture contact can be used to understand Orientalization. The notion of ‘cultural hybridity’ is considered an important feature of this debate. The chapter further focuses on the notion of cultural hybridity, its theoretical background and recent usage in postcolonial studies. It also discusses the archeological relevance of this concept in general, with particular reference to classical Sardinia. Finally, it questions whether the Orientalizing phenomenon can be understood as a case of cultural hybridity, using Iron Age Sardinia as a case study. The chapter focuses on the direction of Orientalization and argues that it is helpful not to put ‘Orientalizing’ back into the art historian’s closet. The reason is that transformation is at the centre of artistic motifs and techniques from the east, as well as at the centre of taking up of cultural goods from the east more generally. Thus, it is worth calling it ‘Orientalizing’ rather than ‘hybridity’ or ‘hybridization’.